Participants at the 2016 World Energy Congress in Istanbul pretended that the world of energy will not – cannot – change. The Secretary General of OPEC believes oil should be a “fuel of choice” and not be "discriminated" against. Industry executives and oil ministers use the world’s poor as a veil of legitimacy for their cardon desires. What would happen if oil producers spend their billions of dollars on other forms of energy than oil and gas? The big oil companies are slowly changing from oil into natural gas companies. Future energy world, dominated by electricity, will look very different from the world of today. The World Energy Congress is not just any event. Taking place every three years, organized by the World Energy Council, it is one of the biggest energy conferences in the world. This year, the event was held in the troubled city of Istanbul. And while for the first time even a number of presidents showed up – those of Turkey, Russia, Azerbaijan and Venezuela – the attendance was disappointing. The around 2,000 delegates were only a third of the number of people that had convened at the previous Congress in Seoul in 2013. Evidently, fear of terrorist attacks prompted many to stay away. Whether the World Energy Council should be happy with the presidential attention it got in Istanbul is another matter. Vladimir Putin, Recep Tayyip Erdogan, Ilham Aliyev and Nicolas Maduro are a questionable quartet not just from a human rights perspective, but from an energy perspective as well. Three of them represent countries that depend heavily on income from fossil fuels. The fourth, Turkey, is positioning itself as a gas and oil transit hub. Last year, Turkey also announced plans to double its coal power capacity from 34 GW in 2014 to 60 GW in 2019. Their presence of this presidential quartet at the Congress – and even more their messages – contrasted starkly with the message the World Energy Council was trying to bring out: the necessity of what it calls a “Grand Transition” away from fossil fuels. What to do with stranded assets? We haven’t done enough to decarbonize our economies: the world will have to accelerate the decarbonization of the global GDP to a rate of 6% per year in order to remain within the carbon budget associated with 2C global warming. This will take considerable effort since with current trends we could reach and surpass the carbon budget between 2045 and 2055, even with optimistic assumptions on energy intensity reductions. The World Energy Council pointedly added that what is needed most to achieve the climate goal is “the rapid and successful transitioning of global transport to low carbon solutions. If you look at how much we have in proven reserves globally”, he said, “this equates to about 2800 gigatons of carbon dioxide emissions. The carbon budget we have (to maintain global temperature rise to within two degrees Celsius) is 1,000 gigatons. For some, these messages might not seem very shocking, but their significance lies in where they come from. The World Energy Council can lay claim to being the voice of the established global power sector. Founded in 1923, when Scotsman Daniel Dunlop organized the first World Power Conference in London, attended by 1,700 delegates from 40 countries. It is now a UN-accredited body, with almost 100 national member committees. Its members are made up of representatives from business, government and academia. Its “patrons” and “global partners” include companies such as EDF, Engie, GE Power, Korea Electric Power Company, Siemens, Tokyo Electric Power Company, Abengoa, Enel, DNV GL, Eon, National Grid and Repsol. Thus, its statement on the “New Energy Realities” carries some weight. It was the first time, to my knowledge, that the World Energy Council explicitly and officially adopted the harsh language of “stranded assets” (also known as the Carbon Bubble). Yet, this was not the language of the presidents and ministers nor of most of the captains of industry at the Congress, who came mainly from the oil and gas industry rather than – as one might expect – the power sector. While they addressed the need of course to expand renewable energy – Vladimir Putin even mentioned the importance of smart grids(!) – that clearly wasn’t where their passion was. Above all, they care about their great plans for new oil and gas projects. The executives of the oil companies at the Congress spoke in similar terms. Saudi Aramco: What me worry? Amin Nasser, CEO of Saudi Aramco, the world’s biggest oil producer said his company would invest $300 billion over the next ten years in new oil and gas projects. Bod Dudley, CEO of BP, said, “We need to keep investing for future growth and that means making big choices to sanction big projects.” BP has recently made a number of large investments in gas projects: the Tangguh LNG plant in Indonesia, the Khazzan tight gas project in Oman and the Shah Deniz 2 project in Azerbaijan. Industry executives did not express any intention to steer their investments away from fossil fuels nor did they seem to feel that the Paris Agreement will require them to do so. What he did not explain is how the world can reduce greenhouse gas emissions without discriminating against oil. The oilmen all had a ready justification for their business-as-usual stance: the world will need more energy, they said, and this can only be delivered in the form of fossil fuels. They based their view of the inevitability of fossil fuels on projections and scenarios from institutions like the International Energy Agency (IEA) and the World Energy Council. These institutions do state that most of the world’s energy needs will be met by fossil fuels for many decades into the future. Amin Nasser of Saudi Aramco said, for example, that “the share of fossil fuels will still be 75% in 2040,” adding that oil production would need to grow to 104 million barrels per day (from 90 million today) to meet demand. 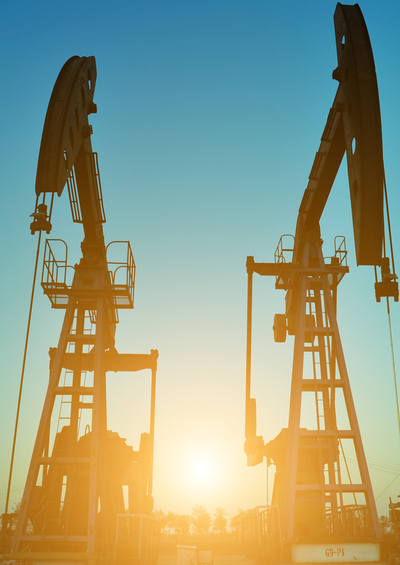 The industry must make continued investment in new oil and gas projects. The oil industry needs to cut cost relentlessly. For the longer term (presumably that would be business model Energy 3.0), Nasser allowed that “technical progress” would lead to a greater share of renewable and alternative energies. But that is still a long way away. Nobody asked whether all this new investment in oil and gas would lead to more “stranded assets” in the future or what might happen if Saudi Aramco and the other oil producers would spend their hundreds of billions of dollars on other forms of energy than oil and gas. To be sure, the oil companies are investing in alternatives. Dudley of BP, for example, referred to the company’s activities in wind power in the United States and biofuels in Brazil, bragging that, among oil companies, BP was probably the biggest investor in renewables. In Brazil, BP has invested some half a billion dollars in its biofuels business over a number of years. To compare: the company’s capital expenditure in 2015 alone was $20 billion. Moreover, Dudley’s claim that BP is the largest investor in renewable energy among oil companies seems doubtful. He does not seem to account for French oil company Total purchase of battery maker Saft in July for $1.1 billion and its acquisition of 60% of solar power player SunPower in 2011 for $1.4 billion. But the bigger point is that at present all oil companies are far from converting themselves into renewable energy companies. From oil men to gas men? The big oil companies do have another narrative which they talked about in Istanbul and which is a bit more credible: they are changing from oil into natural gas companies. Gas, of course, is less CO2-intensive than oil. For example, Saudi Aramco’s investment of over $300 billion in the next decade will mostly go to gas, CEO Nasser said. BP is also putting most of its money into gas. To replace coal, he said, will require a lot of gas and oil. Wetselaar also said he did not regard electric cars as a threat for the oil industry for a long time to come. The main challenge for the oil industry today, according to Wetselaar, is to cut costs. Asked whether they are worried about the impact new climate legislation will have on their business in the wake of the Paris Agreement, none of the oil executives answered affirmatively. Patrick Pouyanné, CEO of Total, came closest by frankly admitting that “our industry is responsible for 40% of greenhouse gas emissons,” implying that the industry would need to change quite drastically. Pouyanné made a telling remark in this context. He said it is “up to us (i.e., the oil industry) to determine the future of energy.” We have the money, the technological know-how and the people to do so, he said. But that is exactly the zillion-dollar question, which the oil sector seems reluctant to face: is it up to them? They still think it is. At the 2016 Istanbul World Energy Congress, it was clear that the oil industry executives and politicians gathered there can’t think of themselves as the losers in the global energy race. Maybe that’s because the real winners that will determine our energy future were not present in Istanbul. They may be altogether different people. The World Energy Congress did provide other perspectives from that of the oil industry. At one plenary debate about “Innovative business models,” the tone was remarkably different. The panelists – which included Johannes Teyssen, CEO of Eon, Jean-Bernard Lévy, CEO of EDF and Michael Bell, CEO of US-based tech company Silver Spring Networks – seemed to be speaking an altogether different language. Toward an energy economy of sharing? According to Teyssen, this future energy world, dominated by electricity, will look very different from the world of today, which is still dominated by oil producing states and multinational oil companies. “I don’t see mega-power companies emerging like the oil companies,” Teyssen said. But then he was not on the same panel with his colleagues from the oil and gas industry. Editor’s Note: This article was originally published in the EnergyPost. 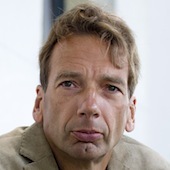 Karel Beckman is co-founder and editor-in-chief of Energy Post.